I know the cumbersome registration procedures of this year's UTME have spurred you to ponder on why JAMB has refused cyber cafes to take part in the registration, at least to ease the 'strenuous stress' prospective candidates are facing in the 36 states of the country. Well, thinking may also be very stressful you know and can lead to an untimely death. To save you from your uncontrollable thoughts, JAMB has provided the reason(s) to your thoughts. 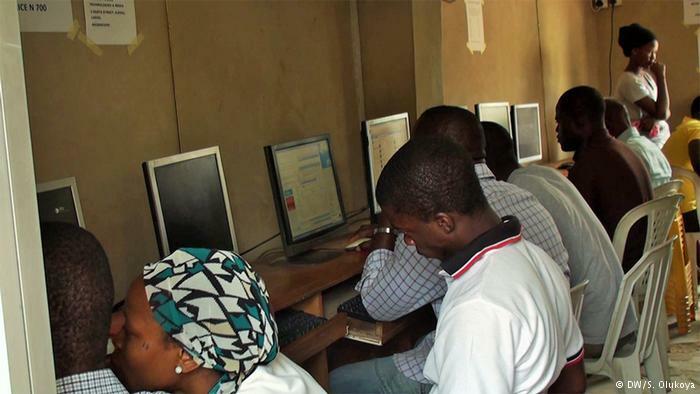 The Joint Admission and Matriculation Board in a statement made available by the Head of Information of JAMB, Dr Fabian Benjamin, revealed some reasons Cyber cafes were not allowed to register candidates. According to him, most problems associated with candidates’ registration such as wrong spellings of names, wrongful placement of passport photograph and others emanate from the business centres at registration points. Don’t forget, it is virtually impossible to regulate the activities of these business centres as their mode of operations did not provide necessary details about them. These problems created by cafes make information gathering, processing and administration of examination cumbersome as records and data of candidates are distorted. The accreditation centres are on the board’s website for easy identification cohesion and smooth operation. Ours is an examination, so we cannot be guided by primordial consideration over quality and standard. I think he has a point but considering the current experience(s) of prospective candidates in various registration centres across the country, the involvement of cyber cafes in the registration process will help in reducing the stress of candidates just like previous years. However, JAMB introduced the use of Remita payment method to combat the current challenge of prospective candidates. With the Remita payment method, you don't need to go any bank or approved CBT registration centres to get your E-pin as your E-pin will be sent to your email after making payment with your debit card.